Windows 10 may unexpectedly restart after you select the Shutdown option or put the system into Sleep or Hibernate mode. Here’s how to fix this issue. According to numerous reports, turning off the Fast Startup feature helps fix the issue in most cases. Go to Windows Settings > System > Power & Sleep > Additional power settings. Click Choose what the power button does, then click Change settings that are currently unavailable. Disable the Turn on fast startup feature. Save changes and shut down the PC to see if the issue has been fixed. Press Win+R, type in regedit and hit Enter to open the Registry Editor. 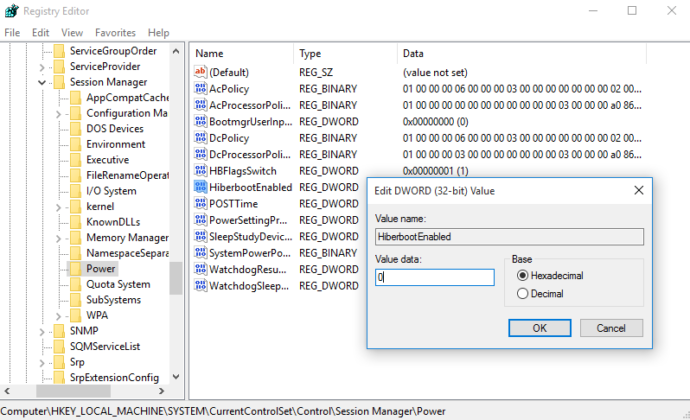 Go to HKEY_LOCAL_MACHINE > SYSTEM > CurrentControlSet > Control > SessionManager > Power. Set the value of HiberbootEnabled to 0. Specific programs or corrupt drivers may lead to an unexpected reboot after shutdown. Boot the system into Clean Boot State and try to locate the program or driver that’s causing the problem by disabling one application after another. If neither of the options work, run the Power Efficiency Diagnostics Report to see if there are any other energy or battery life issues with the PC. If you’re trying to help a person remotely, you may want to try using the FixMe.IT remote desktop application to connect to their PC and quickly fix the problem. Did you find this article helpful? See more Windows tips & tricks on our blog and join us on Facebook, Twitter, or LinkedIn to get all the latest updates as they happen.